The chemical structure can be drawn in the form of a chemical diagram and will be checked against all small molecules in the wwPDB chemical component dictionary that can be found in PDB structures as free ligands (not part of a polymeric chain of a protein or nucleic acid) or as non-standard residues (modified amino acids or nucleotides). In the results page you will get all the PDB structures with such chemical components and in the "Ligand Hits" tab, the small molecules that matched. 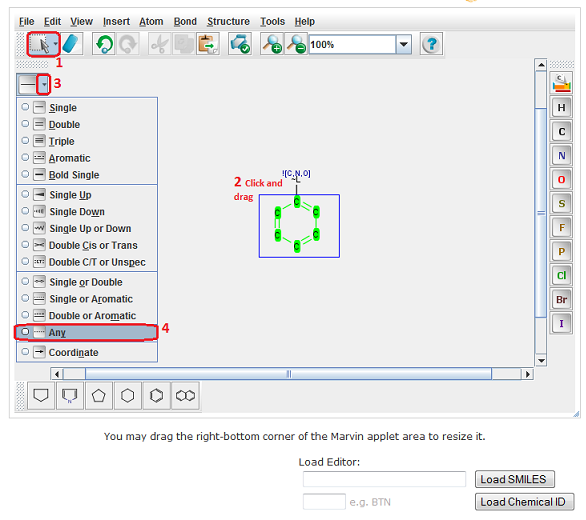 In the "Chemical Structure Search" page you can load the chemical diagram of an existing chemical component and use it as a starting point, while whenever you come back to the page it will automatically load the last chemical diagram that you used. 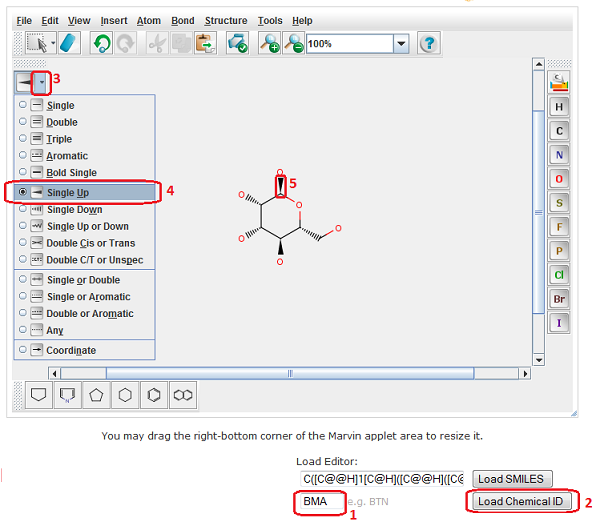 SMILES™ (Simplified Molecular Input Line Entry Specification) is a linear notation for describing chemical structures. 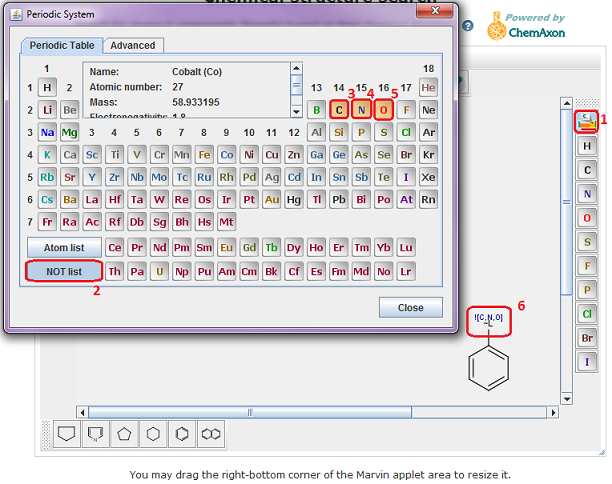 Now you will replace chlorine in the input diagram with "Any Element"
Close the dialog and click on the Chlorine. It will now become an A. 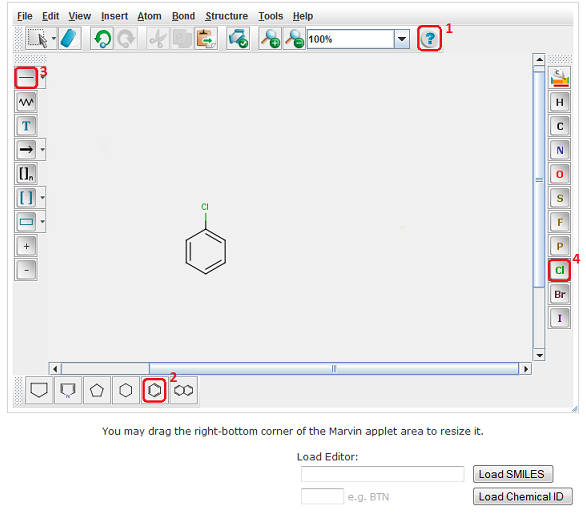 View the "Ligand Hits" tab in the results. 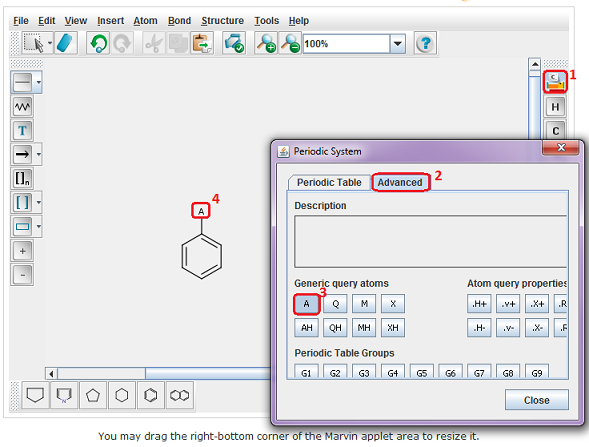 In this example you will replace the A (any) element type with "Any element except C,N and O"
Click on the Chemical Structure search page. Click on the arrow next to the single bond icon and choose "Any"